Home News Center Events Super Seminars World Series Coming Up Next Week – Sign Up NOW!!! 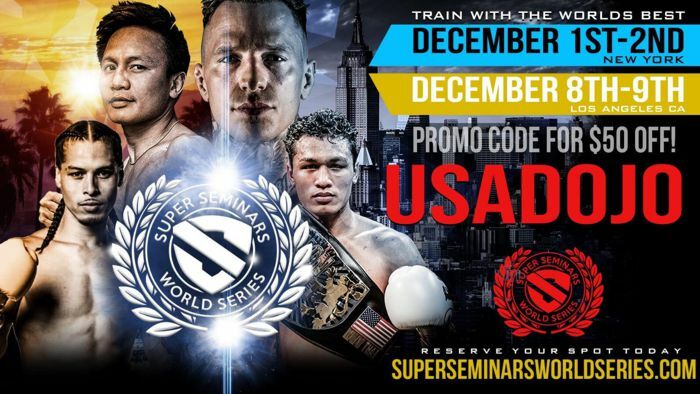 Super Seminars World Series Coming Up Next Week – Sign Up NOW!!! Super Seminars World Series: Coast to Coast is a training event unlike any other. 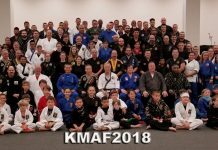 These seminars offer attendees the opportunity to learn the world’s best striking and grappling techniques from legends of the martial arts. 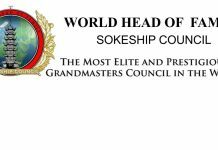 Super Seminars World Series has one mission and that is to provide world class instruction taught by elite fighters flown in from around the world. 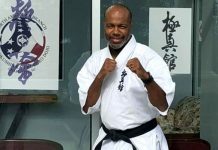 Martial art enthusiast and amateur and pro fighters will be taught the techniques that have helped world champion fighters compete and win. 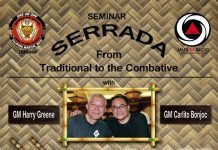 Join Muay Thai legends Kevin Ross, Lerdsila PhuketTopTeam, Jo Nattawut and Eddie Abasolo and learn what the pros know. Enter the coupon code USADOJO in Checkout and get a $50.00 discount!!! 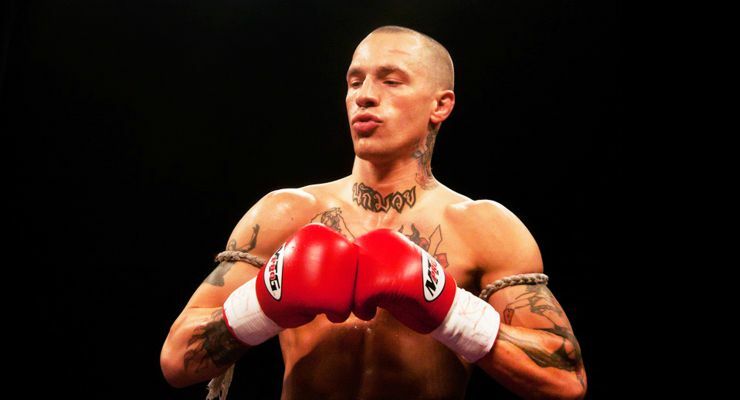 Kevin “The Soul Assassin” Ross is an American Muay Thai kickboxer and former mixed martial artist. He is the current Bellator Kickboxing Fethearweight champion. Among Kevin’s achievements so far are the Super light weight (140 pounds) WBC International championship Title Welterweight (147 pounds) WBC USA National championship Title, the FIDAM Welterweight championship of Mexico and the United States Muay Thai Federation Welterweight champion. 2008 FIDAM International Welterweight title. 2009 WBC Muaythai USA Welterweight title. 2009 WBC Muaythai International Super-lightweight title. 2009 USMF Pro. National Welterweight title. 2014 Lion Fight Super Lightweight Championship. Enter the coupon code USADOJO in Checkout and get a $25.00 discount!!! Lerdsila PhuketTopTeam is a professional Thai Muay Thai kickboxer. He is a three-time Rajadamnern Stadium champion in 3 different weight classes. 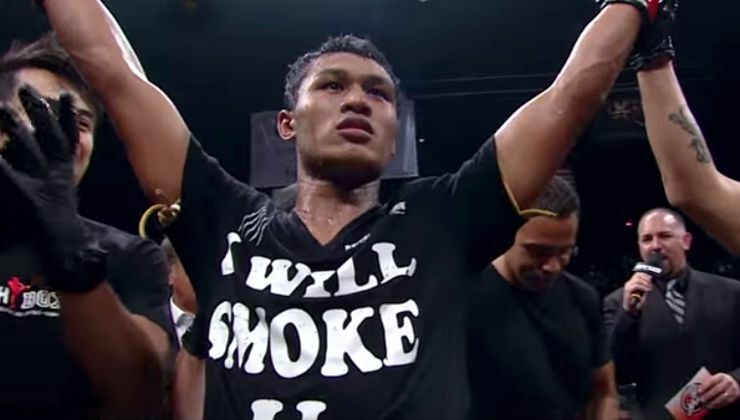 Completing 8 years of training in Thailand, Jo Nattawut moved to Bangkok and began fighting in Lumpinee Stadium and then throughout the world. 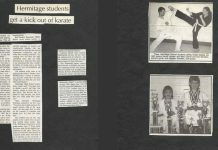 After 5 years of travelling to fight, he settled in Kohsamui, Thailand, where he began teaching. 2015 Lion Fight World Champion 154 lbs. 2011 Southern Thailand Champion 154 lbs. 2010 World Professional MuayThai Federation(W.P.M.F) World Champion 140 lbs. 2009 World Professional MuayThai Federation(W.P.M.F) World Champion 135 lbs. 2003 East Coast Thailand Champion 90 lbs. 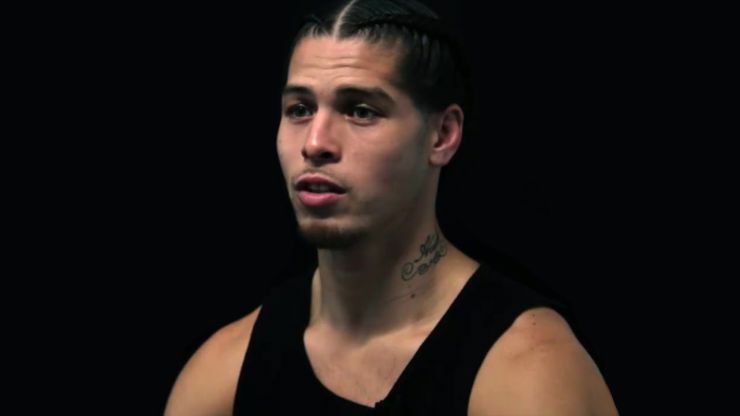 Eddie Abasolo was born and raised in Vallejo California. He and his brother Elvin discovered a Muay Thai gym in his city and they checked it out for fun. When they first began training they would come to practice high and drunk, not taking the training seriously. Slowly, Muay Thai became Eddie’s obsession and he became a WBC Green Belt Challenge Champion and a favorite in the Lion Fight ring.